Pink 11th/12 day collection and Monday box office earnings report: Pink movie of Amitabh Bachchan performed extraordinary on the box office. The movie released a few days ago is collecting plenty of applauds from the movie critics which had helped it to gather masses in the theaters, even on the subsequent days. The movie didn’t achieved a great opening but the response from audience thereof was really markable. Film not only get positive reviews but also observed significant growth on the weekdays. Even after getting such a down opening, Pink collections maintained to get a growth of 50% on the box office. Going to the trends, it can beat collections of Dilwale movie. 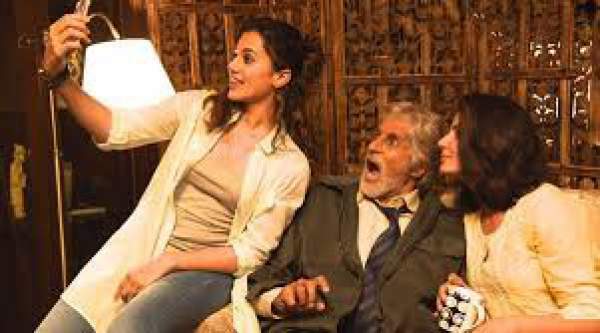 Amitabh Bachchan is popular nowadays in young audience as well as old age audience. After Wazir, Te3n and Pink, it can be said that he is officially returning in the bollywood at this stage to relaunch himself. Getting good pre release buzz and charming reviews always remains as a significant part of the success journey. The other two recent releases of Amitabh was not successful in scoring this big on screen. Movie grown good during the second week. Friday earnings marked film not much affected by the release of Banjo. However a part of stake is obviously expected. On Saturday, the earnings grown small bit and took a rise of 50% which was not enough in comparison to the growth in numbers during the last week but still good considering the size. The movie had made around 50 crore rupees as of now and can make 80 crores during its entire lifetime. The opening day reports from Monday was not bad either, film was able to score good despite severe competition from many other films. It appears that the movie could last for more 2 weeks on the theaters. The response from overseas market was as good as any other big blockbuster bollywood movie. Congratulations Amitabh sir and the entire team of PINK for a sincere effort to put forward an unbiased product. PINK is no more a film it has become a revolution to re-visualize our perspective towards women of today’s age. Three cheers!!!!!!!!! No doubt PINK is a very good movie (not excellent) but a massive, deliberate & unpaid publicity has helped it in becoming a super hit. Please go through the language the last 10 days that some media have been using and you will suspect their intention, as if they were well-paid. AND PLEASE NOTE THAT ANYTHING THAT WOULD SPEED UP ULTRA-MODERNITY IN INDIA CULTURE THESE TYPE OF MEDIA GRAB THE OPPORTUNITY LIKE A HUNGRY TIGER. You also may not like to publish my comments. Amitji always has been successful in revolutionizing, Donot Forget Black, then PAA and now PINK.